This weekend was the 3rd annual Albuquerque Comics Expo. 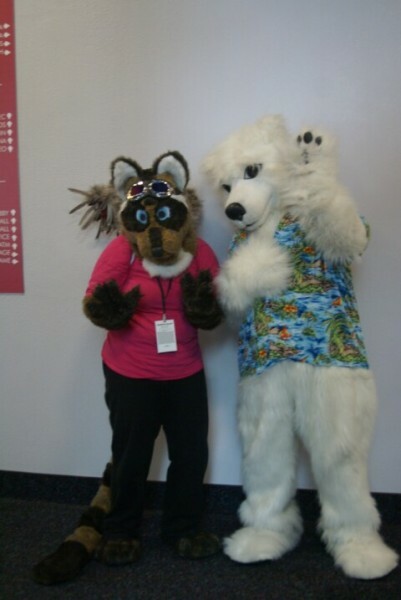 I must honestly say that it was the most fun I have had outside of a furry con. 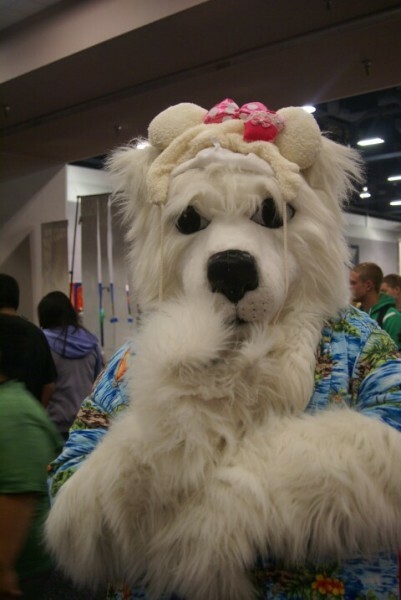 Both Kitty and I commented that it was truly wonderful to have a convention like this in ABQ and even more so since it attracted probably 10,000 attendees. 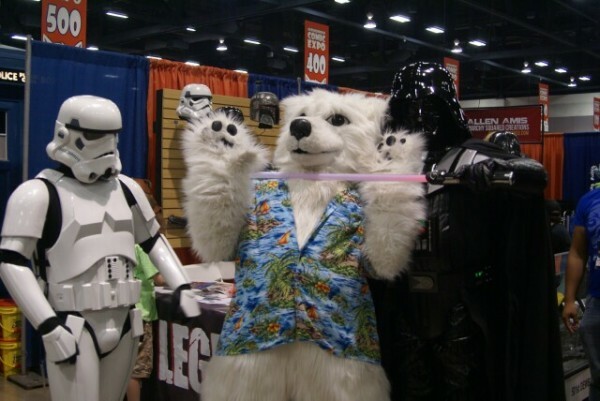 The underlying message was that there is a very strong geek community in New Mexico. That's great news! 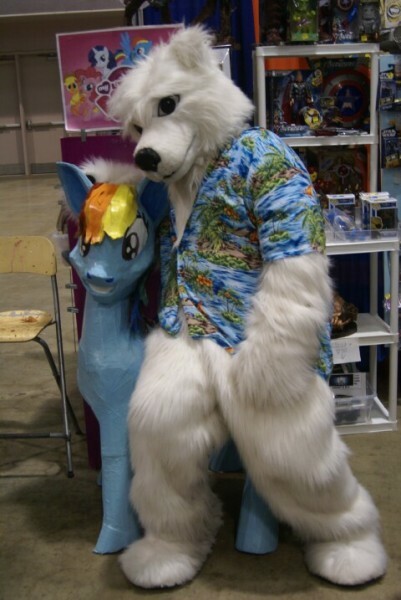 I really felt at home just like a fur con. I fursuited for over an hour on Saturday and felt totally at ease. I posed for lots of pics, and having a polar bear walking around was nothing too out of the ordinary. 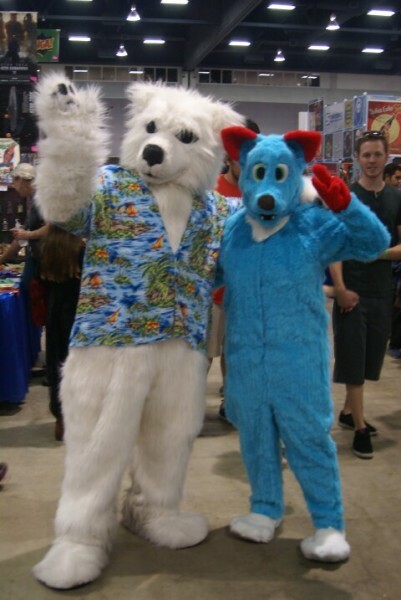 We also met a few of the new furs in town and even a suiter who probably didn't even know about the local community. I was also shocked to see a Goldenwolf and Sandra San Tara booth in the dealer's area and find out that they're both locals. Knowing that there is such a strong local geek community really wants to make me kick AlbuFURque up a notch (It's next weekend!) To show how much fun I had....PICS! 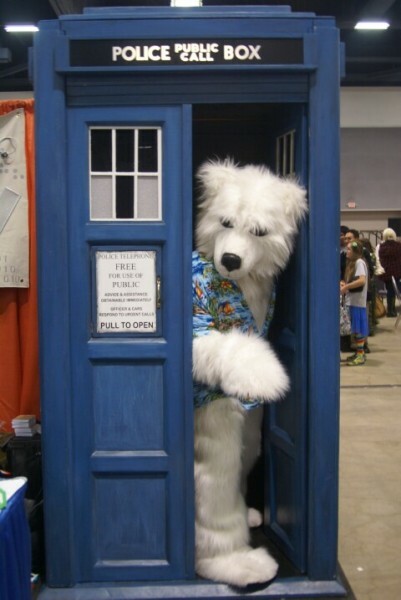 I put the "tard" in Tardis! Hey! 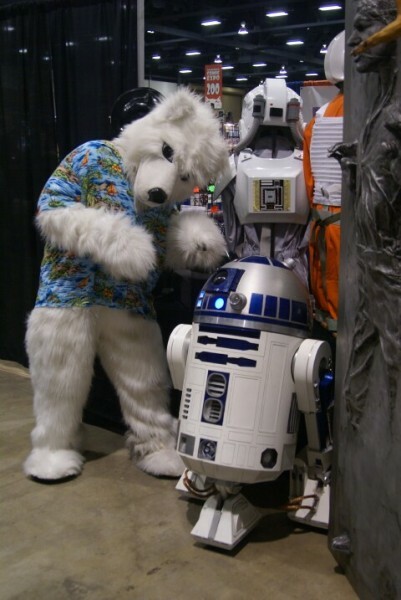 This IS the droid I have been looking for! Go ahead! Strike me down! I shall become more powerful than you can possibly imagine! New local fur and fursuit maker!